Reed Express Delivery is a proud member of the Oneida Solutions Group family of companies. Reed Express Delivery out of Romulus, Michigan (MI), is a Minority-Owned (MBE), ISO 9001:2008 Certified company that services all of Metro-Detroit, including Wayne county, Oakland County, Macomb County, Livingston County, Washtenaw County and Monroe County with reliable same-day delivery services and next-day delivery services. With over 30 years experience in the Detroit area, Reed Express Delivery can handle all your Freight Delivery, Medical Delivery, Express Delivery, Cross-Dock, Bulk Item Distribution and Storage needs. 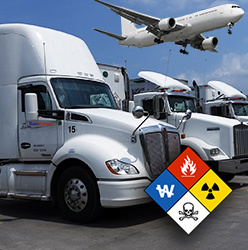 Reed Express Delivery has Michigan Drivers in our fleet that are both TSA Certified and HAZMAT Certified for all your Detroit Metro Airport Delivery, Airport Inspection, Airport Pickup and Airport Storage demands. We have access to nearly 400,000 square foot of state-of-the-art storage space for all your Detroit, Michigan and Tri-State (Michigan, Ohio and Indiana) logistical warehousing needs. 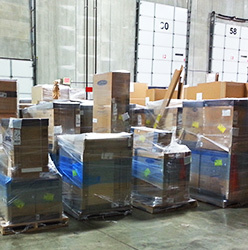 Reed Express Delivery is part of the Oneida Solutions Group family of companies. Call 734-946-6318 or Email Us for additional information or to get an estimate. Same-Day and Next-Day Delivery Services in the Metro-Detroit area. Fully Licensed and Insured. We pickup and delivery to Residential and Commercial areas. HAZMAT and TSA Certified Drivers. Call 734-946-6318 or Email Us for additional information or to get an estimate. 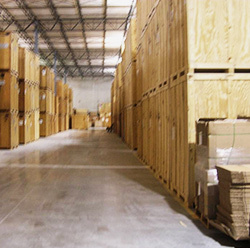 We have access to nearly 400,00 square foot of state-of-the-art storage space throughout the Tri-State area for your distribution and regional logistical warehousing needs. Call 734-946-6318 or Email Us for additional information or to get an estimate. Serving Michigan, Indiana and Ohio with all your LTL, Cross Dock, Distribution and Warehouse Logistic needs. Call 734-946-6318 or Email Us for additional information or to get an estimate.